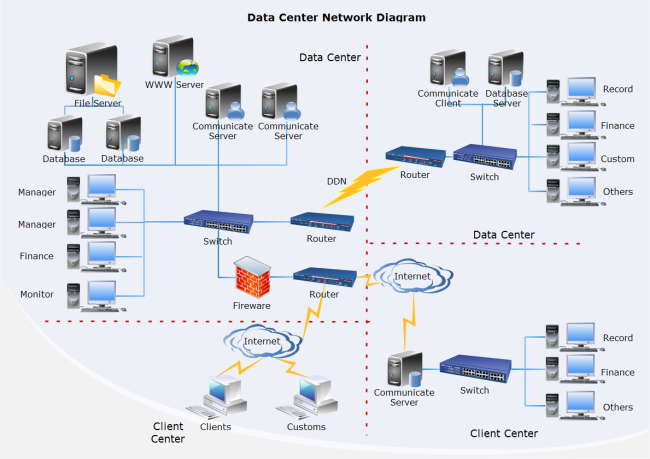 Description: A free customizable data center network diagram template is provided to download and print. Quickly get a head-start when creating your own data center network diagrams. The template here forms the basis for network design and engineering, especially for offices and data centers, describing how a site (or data center or part of the data center) should be configured.